I was late to the party this month, but still found some good folks on 40 Meters and reasonable conditions. I made contact with K4BAI, NØTA and WA9TGT. The ATS-3a was remarkably cooperative. My CW was much better thanks to some attention to the brass key contacts. The batteries appear to be running well also. I use a pair of 170 mAh LiPo cells. It makes 3W out, so it is good to go! I promise to be on time next month. 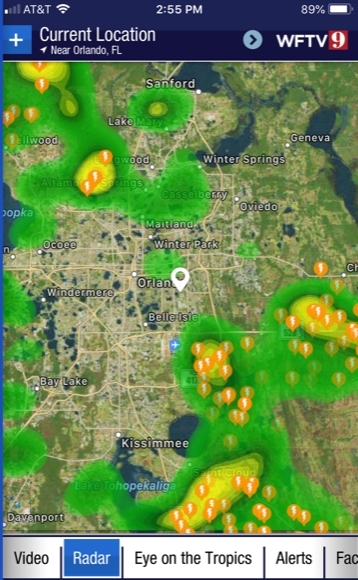 Part-time this month as the nearby thunderstorms were producing a lot of QRN. 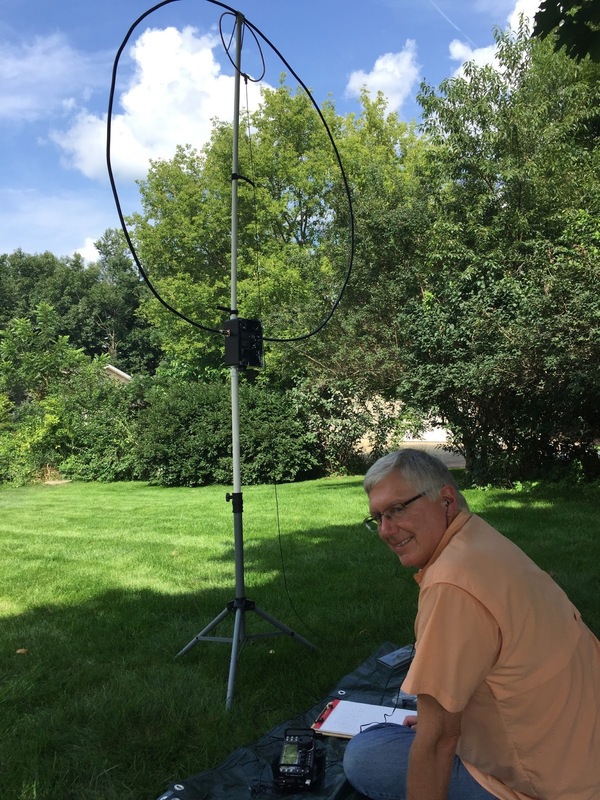 Don, K3RLL had a booming signal into E. Central IL. Thanks for the Qs and sorry to those I just could not pull out of the QRN. K3/10 @ 5W to a 40M extended double Zepp or a 20M wire delta loop. Back to the repaired K3 (bad chip on I/O board). RBN could hear me on 15M but no one else. Best signals: 20M - NK6A, 40M - K5GQ, 80M - K4BAI. I think I stayed on 20M too long. The QSO with John on 80M was almost a miracle as I had an S8 noise level. Not my best showing, but had fun. 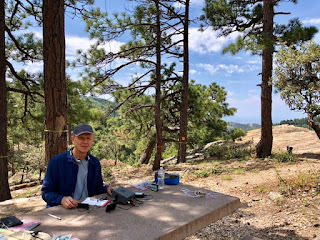 I operated from the Nez Perce-Clearwater National Forest east of Moscow, ID using a KX2 at 5 W feeding a SOTABEAMS 20-40 m trap dipole suspended at 40 feet between two pine trees. 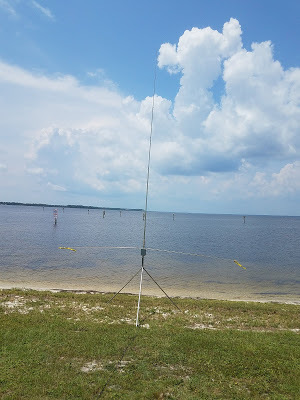 For other Spartan Sprints I have had this trap dipole supported by a 28-foot Jacklite telescoping kite pole which does well for 20 m one hop paths, but not so good for two hops. I wanted to see how much better the trap dipole would work higher up. The result was better performance for the 20 m two-hop paths to the east coast, as one would expect. Worked K4BAI in GA on both 20 and 40. A good first hour on 20, then slow the second hour on 40. Thanks to all who stopped by. 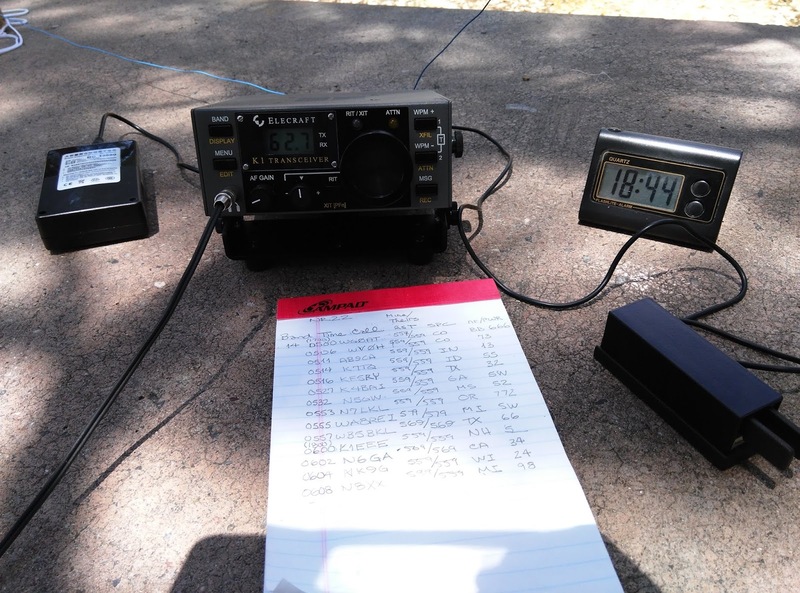 Two contacts on 20m, then 14 on 40m. 40m was a bit noisy but usable. Twofer with K4BAI and K7TQ. Thanks for the Qs! Kx2, Palm key, Gen Log. I could not find all the parts for my ATS-3. Static crashes peaking S6, 7. I had a couple of stations call me but could not copy all of the calls. Started out pretty strong on 40m this evening but then the contacts started spacing out a bit, then a bit more, then a lot more. (Smile) Really need to get something to operate 80m cuz I think that’s where the party goes when 40m works out. 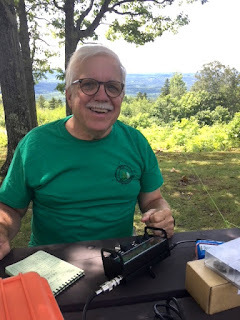 The word "fun" was mentioned no less than 25 times in the SOAPBOX for the 2018 Adventure Radio Society Flight of the Bumblebees on July 29. Participation was the best in years, thanks to some good propagation - especially on 20 meters. Operators, both Bumblebees in the field and home stations were out in force around North America. 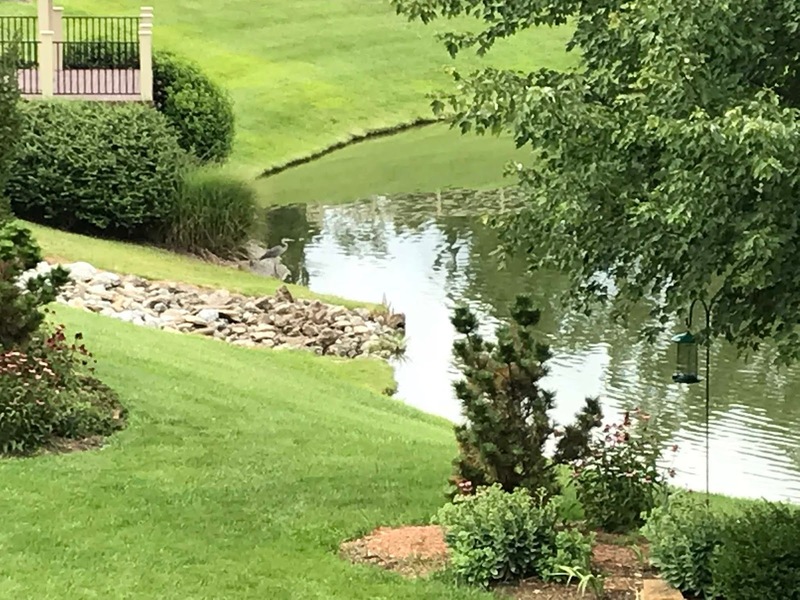 Scroll down and you'll see dozens of photographs sent in by Bumblebees, showing the diversity of locations from which they operated. Shown too, is the ingenuity of radio amateurs who love to go Trail-Friendly. 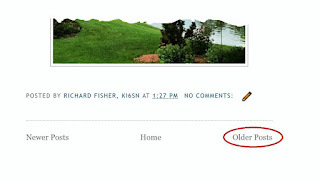 Please click on the images, like the one just below, for an enlarged view. 2018 FOBB is a real space eater on the ARS Homepage. When you get to the bottom of your scroll-down, click on OLDER POSTS to see our extended contest coverage. Please note the INDEX to directly to the right of this paragraph for direct links to charts, narratives, and individual operator pictures. Many thanks to all who participated in this year's event. You all made it one of the best FOBB's ever. Here are almost 40 photographs from the 2018 Adventure Radio Society Flight of the Bumblebees held July 29. A truly diverse body of images from across the United States and Canada. 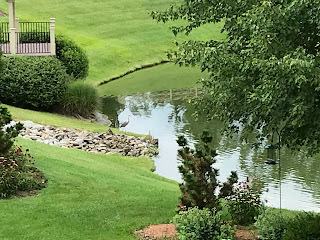 For an enlarged view, please click on each picture. Many thanks to all of the operators who took the time and energy to snap a shot of their 2018 FOBB station site. Nice cool breeze sitting under a stand of oak trees. Low noise level made operating enjoyable. Running 2 watts from KX1 on internal battery, but inside using permanent G5RV. 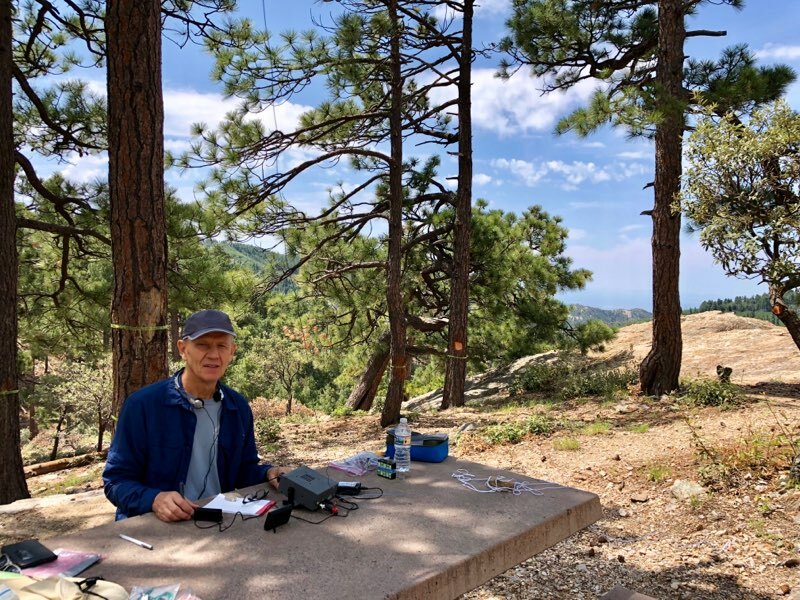 Dave K1SWL, Tim W3ATB and I (Jim, W1PID) operated the 2018 FOBB from the side of Mt. Kearsarge in Winslow State Park. It was a gorgeous day. We each had a rig and an antenna. Dave beat us all with 14 QSOs using his homebrew Hilltopper rig. We had lunch in nearby Andover then headed up the mountain. It was a perfect day! Tim set up a half wave vertical and made three bumblebee QSOs before Dave and I were even on the air. He was using his KX2. 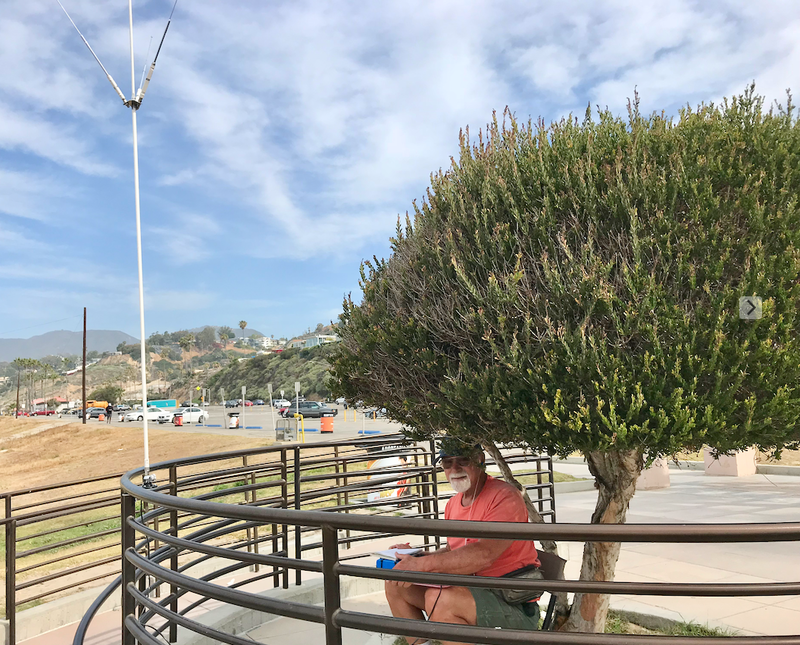 Dave brought his 20-meter Hilltopper with a half wave sloper and did a fantastic job. 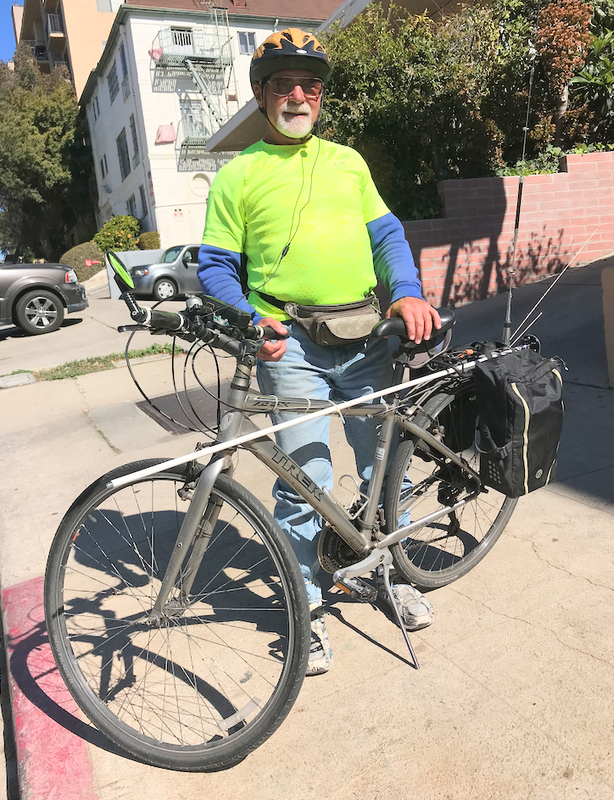 His best DX was Cam N6GA in California. I (Jim) brought the KX3 and set up a 44-foot dipole fed with twisted pair. It worked well on both 40 and 20. My best DX was Russia, but he wasn't a bumblebee. . . We all quit after two hours and a really perfect afternoon. 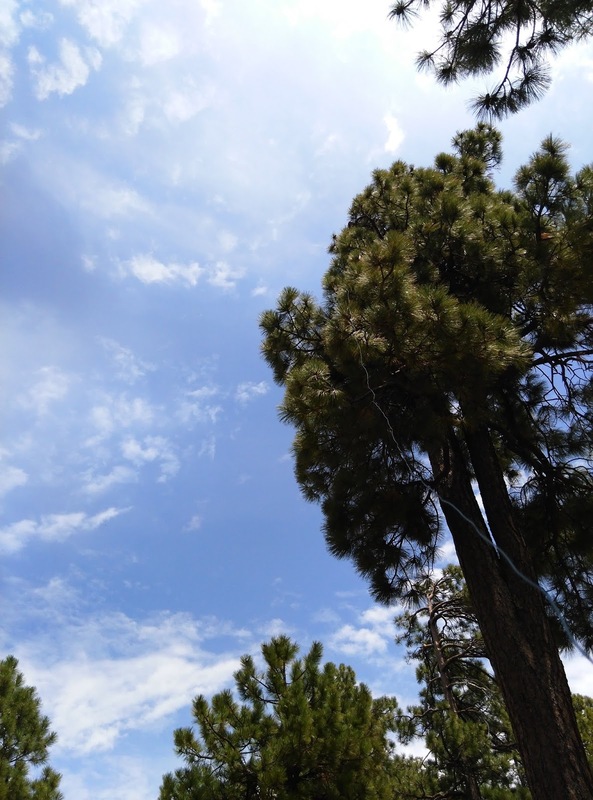 The activity was good, the weather was the best and the company couldn’t have been better. Poor conditions and a not-ready-for-prime-time antenna were discouraging. Only made 6 QSOs for a total of 54 points. Used a K1 running 5w into an EFHW + tuner on 20m. Reasonable conditions for this part of the sunspot cycle. Got a late start but contacts came fairly rapidly on 20 and 40 meters. A thunderstorm was heard at a distance, so I shut down, about 15 minutes before a light rain started up. So, only had ~ 1 hour to operate. I could have fired up after the shower passed, but clouds were still threatening. Sorry, no pictures. I didn't want to take time because of threatening rain. I contacted was pedestrian mobile. My16-24 volt input, 12-volt output mobile (lighter plug input) computer supplies were apparently switchers, not linear as I had been led to believe, with drifting noise. Operating direct solar through the regulator seems like a good idea until the high cloud layer rolls in, and solar panel output no longer keeps up with the transmit current for the 20-meter DSW-II. 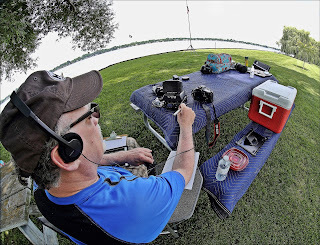 I enjoyed the event operating from Binder Lake here in Jefferson City, Mo. Propagation was great as signals were very strong. My 1 watt and Hustler mobile antenna made for easy contacts. Thanks to the great operators for finding this Bumblebee. Thunderstorms prevented operating during much of the event. The rig was a QCX with a dipole at 30’. Like pulling teeth. Deep fades, weak sigs. Hi to Dave, K1SWL who would have been my best DX except that he was nosed out by KØZK in Maine. TNX to the ARS for another fun outing! I used an Elecraft K1, battery-powered at 4 watts into an end-fed wire in a sloper configuration. The band propagation was poor. Practically the only activity I heard on the bands were ARS BB contestants. Despite that, I had a great time. 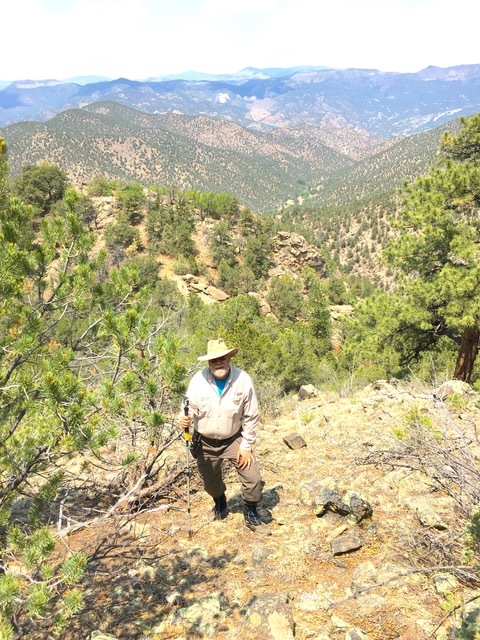 Pictures from my operating site are in the 2018 FOBB Gallery. Note the Blue Heron at water’s edge. Thanks once again for wrangling all this together! The weather forecast called for some rain and I was a bit hesitant at first but went anyway. It never rained so that was alright. I haven't participated in FOBB since one of the first ones years ago. I had a good time, and all the operators were good. I only missed a couple of QSOs where one or the other of us couldn’t dig it out. 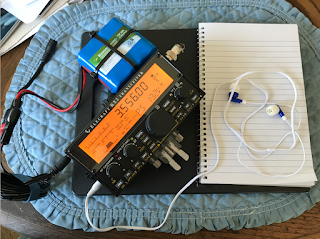 My rig is a K3, and the antenna is an 80m horizontal loop. Next time, with a little planning, I could get out one of my old QRP radios and hit the field. I had a good four hours in the forested mountains. Managed to stay in the shade the entire time although there was not a cloud in the sky. Operating time best described as "several opportunities for improvising." With all the backups I brought along all the "opportunities" were solved. 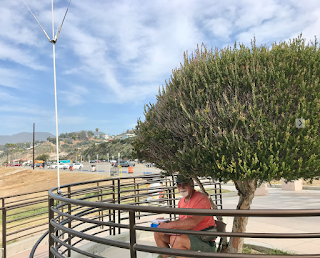 Thanks to all who stopped by for a Q.
that I will have resolved soon (the receiver audio was too low for outdoor use). 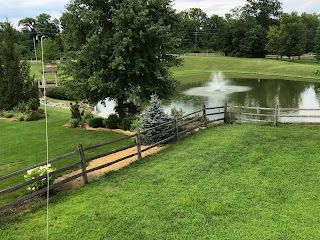 This was my first FBB event, I had a rocky start - I moved over to Buffalo Woods Picnic Grove North because there was too much activity at Hidden Pond woods. 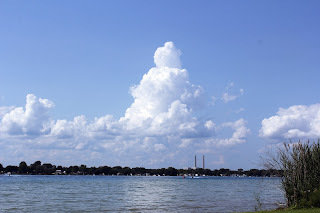 While setting up my linked dipole - I had the Forest Preserve Police checking me out, I stopped to ask them if they were going to chase me out, but he said as long as I take everything back with me, I'm OK. I'm looking forward to participating in future events. Thanks for a great event. My station setup is in the 2018 FOBB Gallery. My rig was an Icom 7300 @ 5W and the antenna was a Hustler 6BTV, ground mounted with 60 radials. 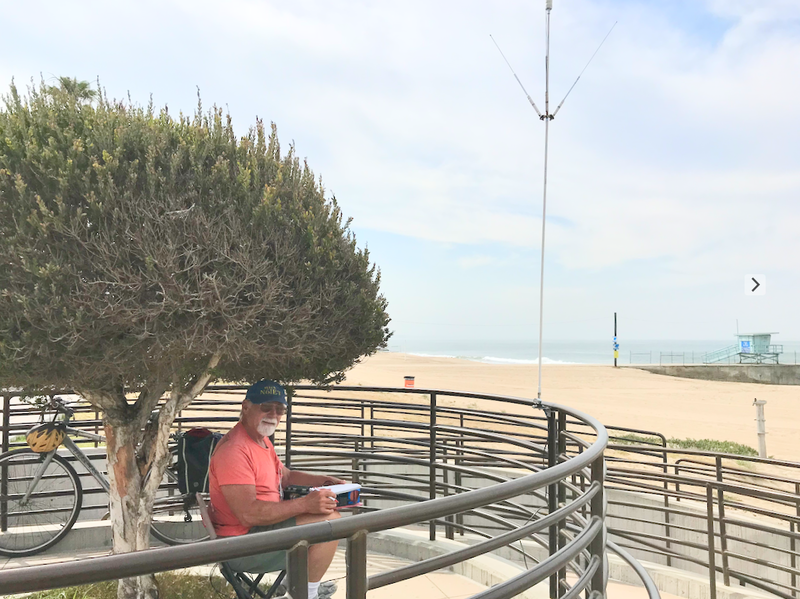 I transported my portable HF station (KX2, LiFePO4 battery and Hustler MO3 mobile antenna with resonators for 40, 20 and 15 meters) on my bicycle to Will Rogers State Beach, where I operated QRP from two nearly identical locations: (1) The last restroom stop along the Marvin Braude bike path half a mile northwest of where Temescal Canyon Rd intersects Pacific Coast Highway in the part of Los Angeles known as Pacific Palisades; and (2) the center restroom stop, at that same intersection, where I enjoyed a bacon cheeseburger and Diet Snapple during a half-hour lunch break. I made a total of 12 contacts during the sprint in 7 states: 6 on 40 meters and 6 on 20 meters. 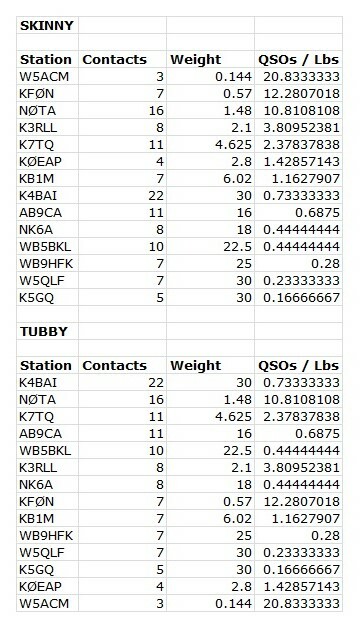 Only three of them were /BB stations besides me and two or three more were QRP. 15 meters was dead the whole time. 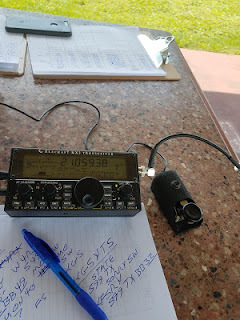 I got poor signal reports on 40 meters, even from very strong stations, but on 20 meters the reports I got were about the same as those I gave out. Signals were generally weak on 20 meters and plagued with deep QSB. 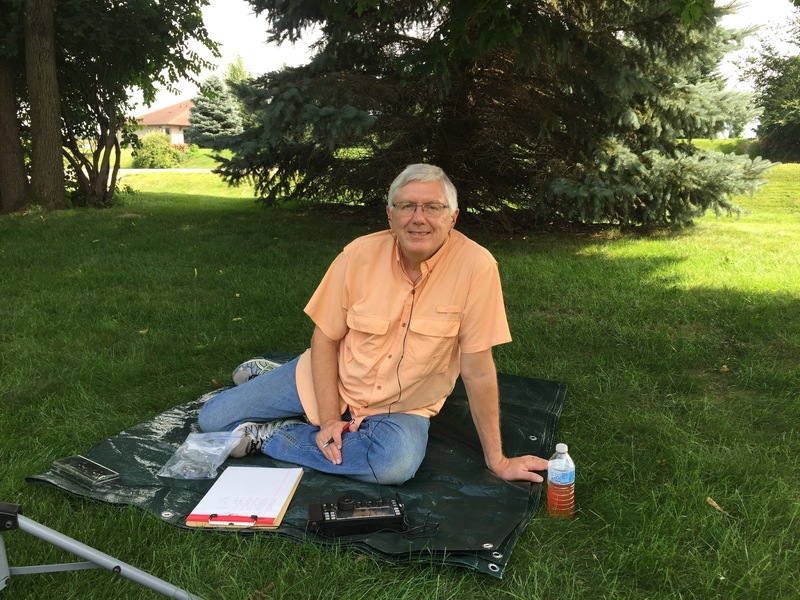 The strongest 20m station (in Wisconsin) was 589, but he was running 500 watts! Photos in the 2018 FOBB Picture Gallery show two different perspectives of me operating at the second location but using a larger ‘cutting board’ rig (with amp and solar charge controller) and the Hustler configured as a quad-bander with four resonator coils on it. I operate from this location at least once a week, usually on Friday mornings. Using a pneumatic tennis ball antenna launcher, I put up a CFZ up about 60 feet in tall oak trees. 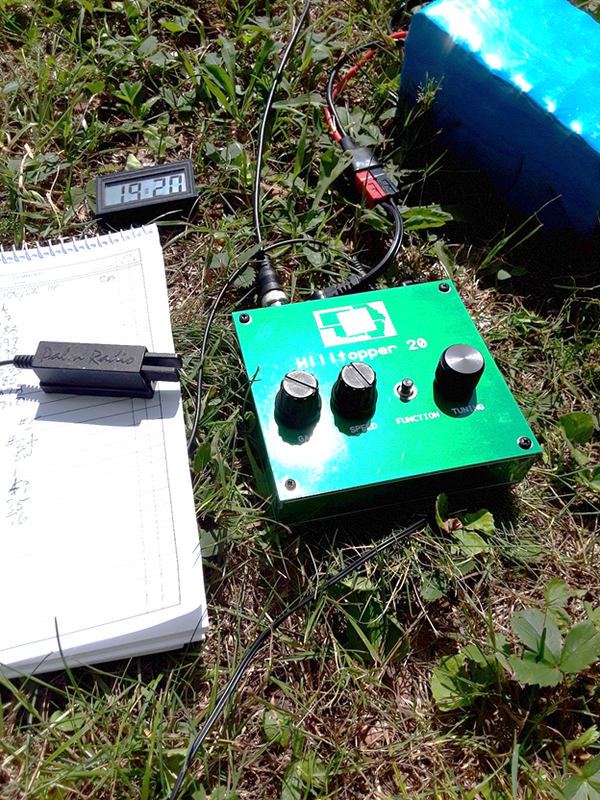 My KX3, batteries, and homebrew tuner were placed on a portable table in the shade. A battery operated fan and ice chest with drinks allowed me to withstand the heat index of 100. 20M was in good shape for this time of day, year and sunspot cycle. 40M not so good, but got five contacts on 15M. Next adventure: NJ Skeeter Hunt. My goal was Lookout Mountain but I did not get an early enough start so we stayed on the BLM land and found a good spot with views. I had no noise floor on 20 meters save the occasional electrical discharge from some storms. My initial strategy was to listen for CQs and pounce as much as I could to save battery but near the end, I called CQ a few times which yielded a few stations. I was surprised that there were only about half a dozen stations that could not hear me. I am guessing but think I started out at a little over a watt and was probably down to half a watt at the end. 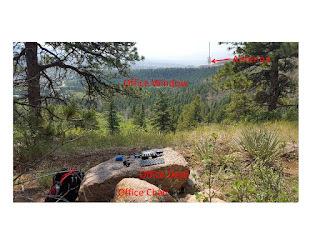 The antenna was a twin lead 20-meter dipole up 50 feet for a total of about 8050 feet of altitude. Contacts were very casual as I had the XYL with me and we chatted about different things. We had to secure the last hour due to a fast-moving storm. We packed up under heavy rain and made it out ok. If we were 5 minutes quicker we would have missed the rain altogether. Rain fell during the entire event. TNX to everyone who worked my QRS! Heard only KG5YTS on 15, but couldn't get him to answer my call. Setup on our cabin deck for the last hour or so of the contest. SOTAbeams link dipole and small fiberglass pushup mast. KX3 battery powered. Had a great view down and across the lake. Great fun making a few QRP QSO w/BB contest. FB! I was camping over the weekend but I didn't think I was going to be able to participate this year. I didn't sign up for a BB number but It turned out that I was able to catch the first hour of the contest before I had to head home. It was great to work some familiar callsigns. Hopefully, I'll have more time next year. Due to approaching thunderstorms, I didn't set up my normal 45 ft up dipole in case I needed a quick getaway. (Which I did) Used my HB1B and a 20m EFHW rigged inverted L and mostly NVIS at 10 ft up on Jackite and Crappie pole combo. Heard many familiar callsigns but didn't get out well as no responses to my calls or CQ BB attempts. 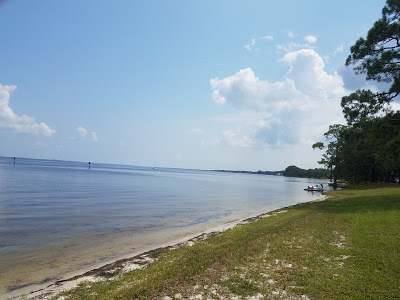 Did snag my FL friend Greg N4KGL up in the Panama City FL area. 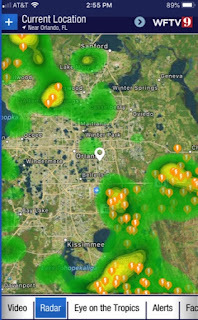 This time of year is lightning and thunderstorm season here in the lightning capital of the world. I have a wx app on my iPhone that sounds an alert if lightning is within 8 miles of my GPS location. It was near 2:20 PM EDT so I closed up and got to my home as the downpour and lightning began. Almost too close for comfort! 4 years in a row since I've had a full 4 hr run! “Cheated” this year on my birthday with indoor operation. Had family commitments and operated for an hour using a K3 @ 5W and a Hex Beam. 20M seemed to be in good shape while I was on. The 100 degrees outside temp sure encouraged indoor operation. Sorry to the ops that I just couldn't pull out of the noise. Did get the "the goat man" (wGØAT) from CO though. 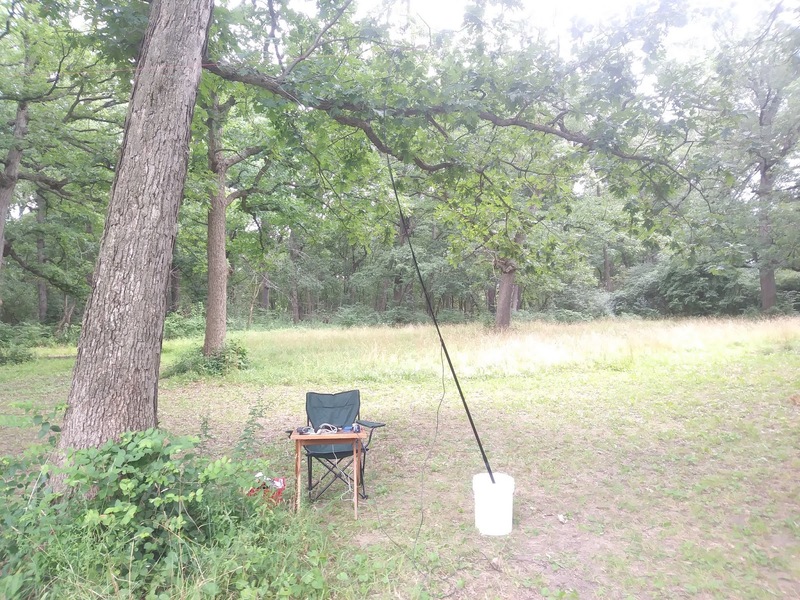 K1 @ 5W to a 20M dipole up about 20 feet between two live oak trees. My location is a popular LCRA park on the Colorado River. Had some terrible noise issues which vanished as the FOBBs started. Worked 15 S/P/Cs including two SOTA stations. 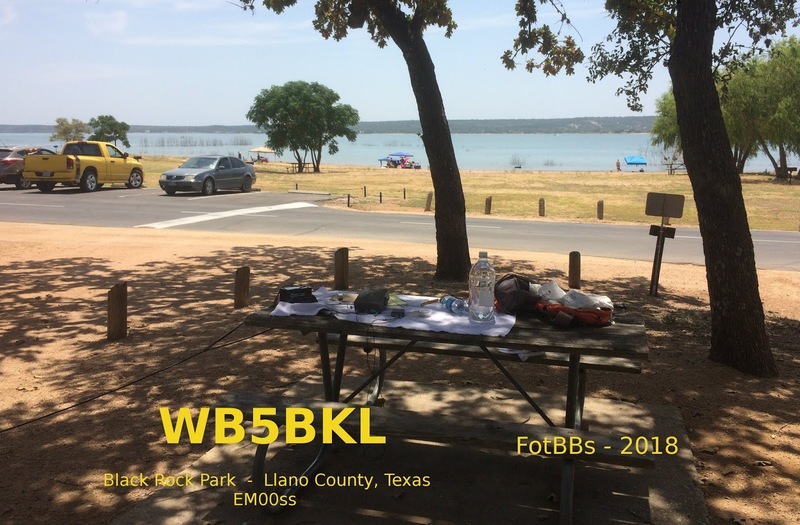 KX0R, N5GW and K7TQ had strong consistent signals here in the central Texas hill country. 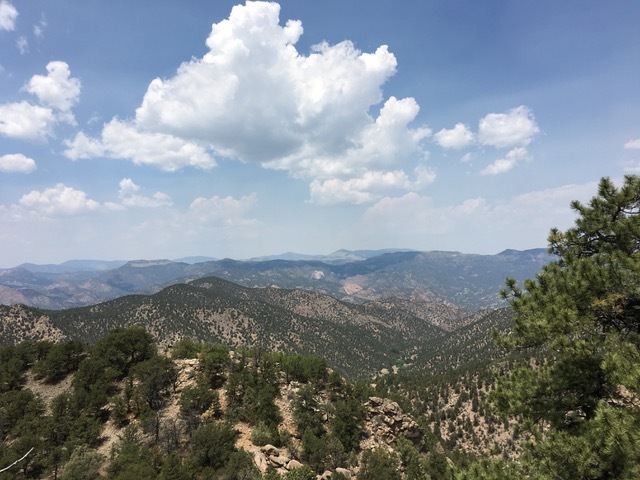 At 2100Z it was 100F (cooler than the two previous days) and I was into my second two-liter bottle of water. My thanks to all. Had fun. Not my best effort. Better luck next year. Tough conditions, but we still had fun. 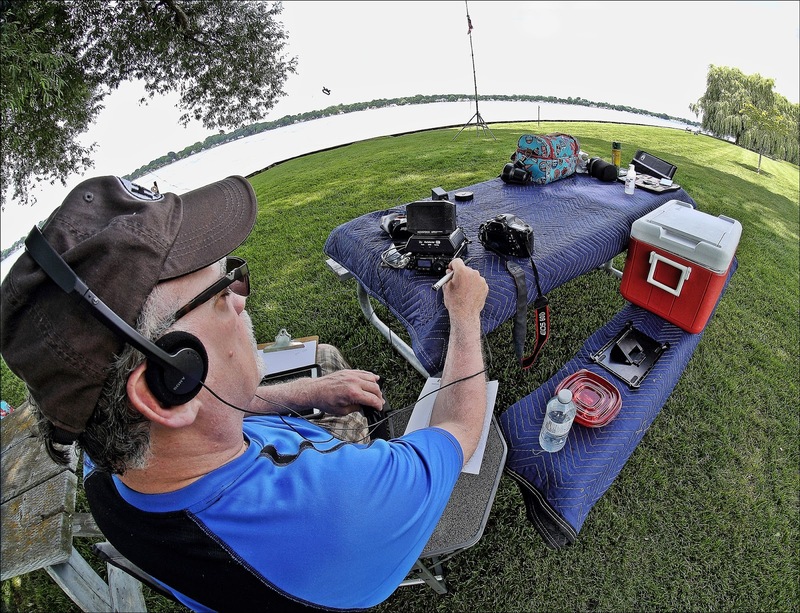 There's no such thing as a bad day in the field working QRP. Got on for the last 30 minutes due to church and family priorities. KX3, Palm Paddles, and homebrew 13’ magnetic loop antenna. On the air in just a couple minutes after short hike out to the tree in the front yard by the road. 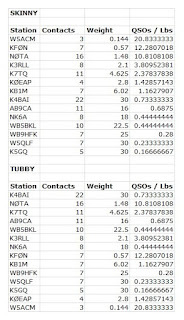 QSOs were all on 20m; no BB ops or CQ responses on 40m. This was the first use of the 13’ mag loop, and I was pleased with its performance. Enjoyed the event even if only for a brief while! Decided at the last minute to play Patio Portable from the backyard here in Salisbury, NC. Right before the start, I threw up my lightweight HB 10-40m OCF app. 20ft into a tree. 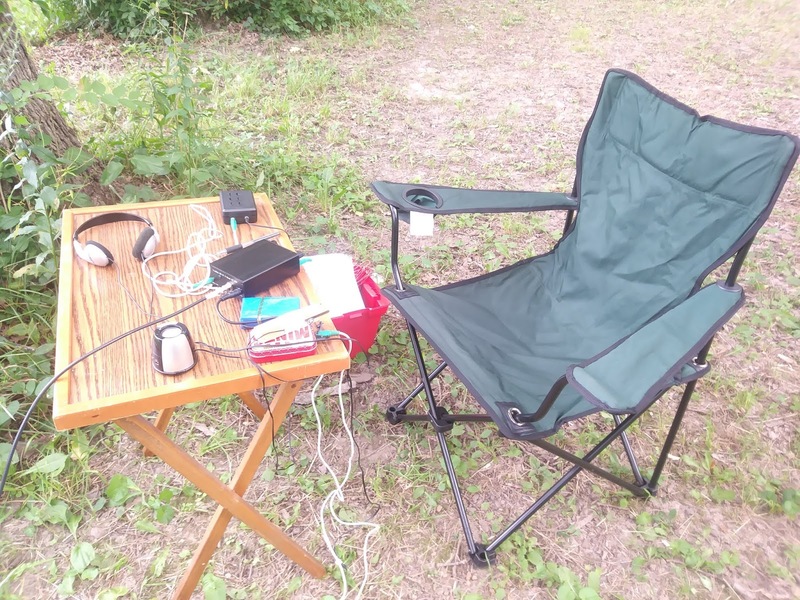 Grabbed the FT-817 and was impressed at how many bees I heard. Thought 40m would be the way to go but 20m was GUD here in NC. Bounced between 20 and 40 trying to catch some bees. Kept trying 15m but only heard one signal from 5-land. Couldn't get back to him. I tried calling CQ on 15m with no takers. The reverse beacon was showing several hits in the New England area. Oh well, guess not enough honey on my signal for the bees. HI HI. Had fun from the back patio. 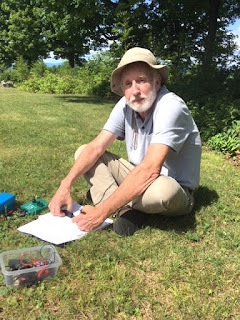 I stuck to 20 meters and had put together a makeshift antenna on the fly for 40 made from a 9:1 UnUN and a run of counterpoise wire thrown into a tree which modeled perfectly on my antenna analyzer right off the bat, however I would never get to put it on the air it turned out due to the severe WX approaching. The unpredictable and always untimely rumbling of motorcycles and cars on the highway behind me by a couple hundred feet or so necessitates the wearing of a headset much of the time. And even then they can overrule what I'm trying so desperately to hear: QRP signals. Band conditions were fair to poor but anytime I can get to the park and make a contact, the day is a huge success not to mention tons of fun! All in all, another great FOBB, I’m already looking forward to 2019. 72, Steve, VE3LFN. If you plan to operate the 2018 FOBB portable – in other words, from a field location – you’re invited to request a Bumblebee identification number. Instructions for obtaining a Bumblebee number are in the next section, below, headlined "Apply for a 2018 Flight of the Bumblebees Number." There is no limit to the number of Bumblebees. You may apply for, and receive a Bee number at any time up to July 29 prior to the contest. 3. YOUR FOBB NUMBER ASSIGNMENT: Check the database, https://tinyurl.com/yaxaarvr after submitting your top three choices to see which number you have been assigned. The number listed in the database is your official 2018 FOBB number.